Datapath has made Starin a supply partner. While Datapath will maintain a direct relationship with the existing integrators who will do the very large scale projects, Starin will serve those integrators with a new collaborative wall solution, while also offering new integrators wishing to expand their portfolio, a new video wall profit center. Starin’s guidance in a go-to-market plan will give integrators marketability and support. 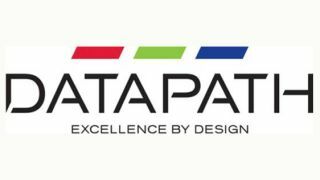 Datapath is introducing a new touch interactive collaborative canvass video wall processing with interface Layer Logic capabilities. Layer Logic will not only enable selection of sources, stretching/shrinking, hiding/sliding of windows, recall of present templates (or last meeting), users can also “reach-into” control the source and content from it. In addition, annotation is available. Starin will exclusively manage and develop all integrators to effectively offer and implement this new solution. Venues of training rooms, briefing centers, war rooms, broadcasting and more will have use for the collaborative aspect of the system, while some traditional display-only wall spaces will appreciate for merely the wall control. Starin will offer the product categories of multi-view controllers, micro frame processors and, to build into custom applications, stand-alone cards.